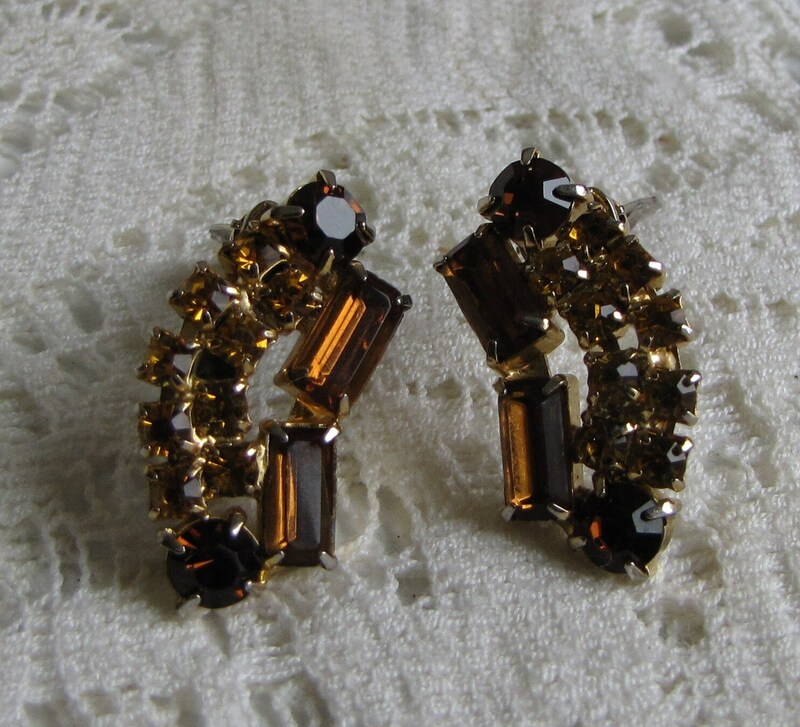 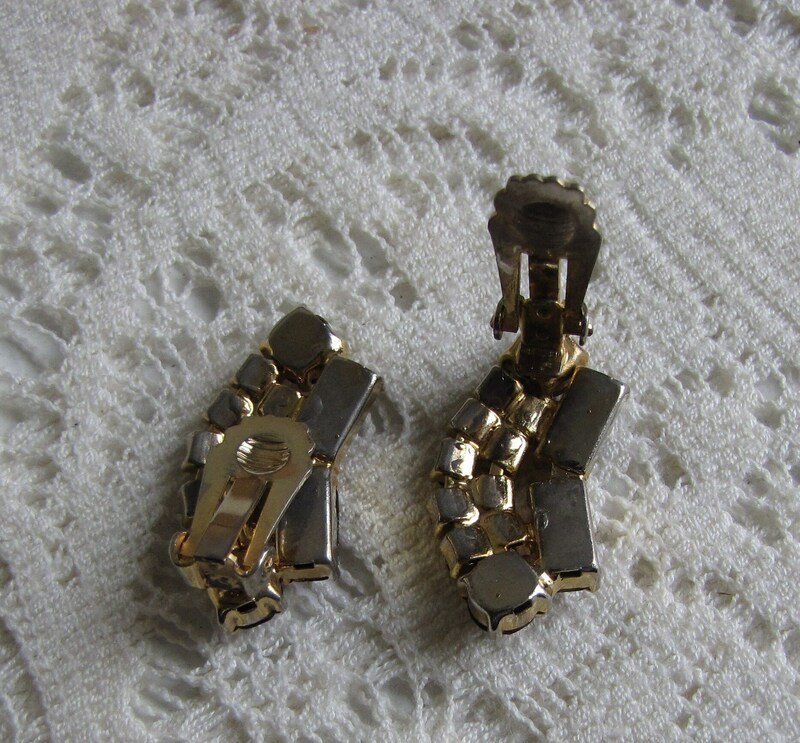 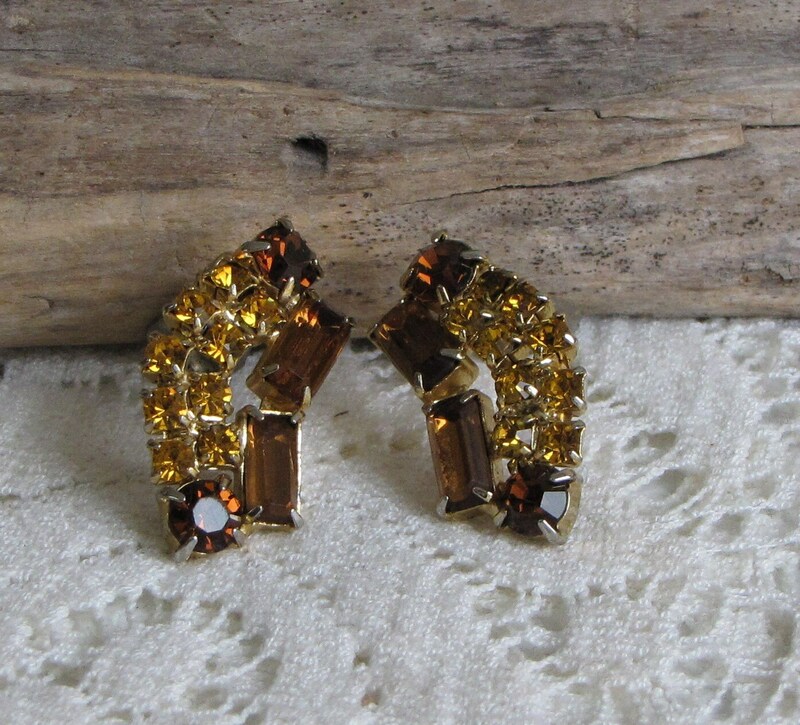 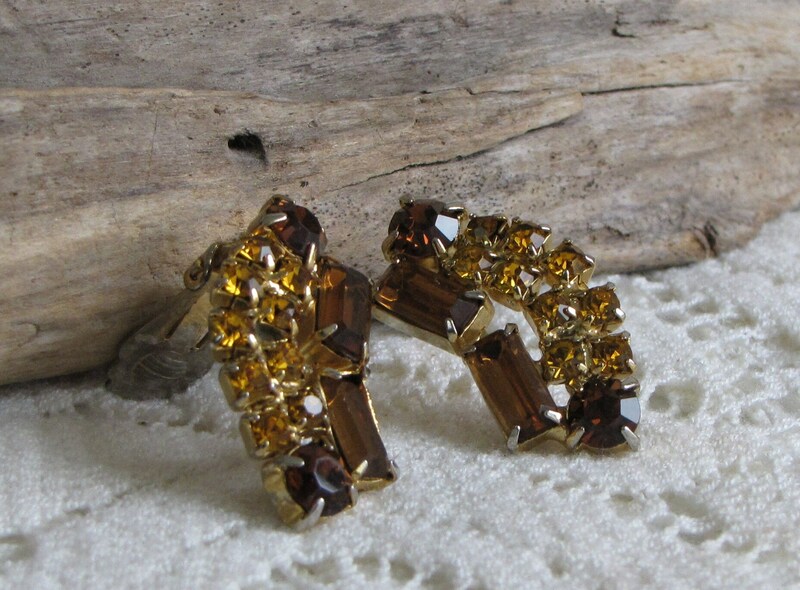 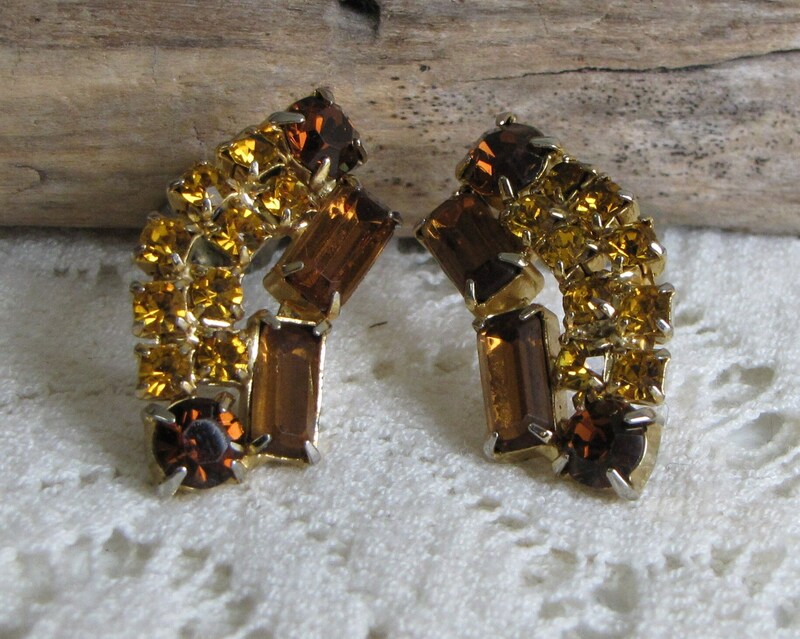 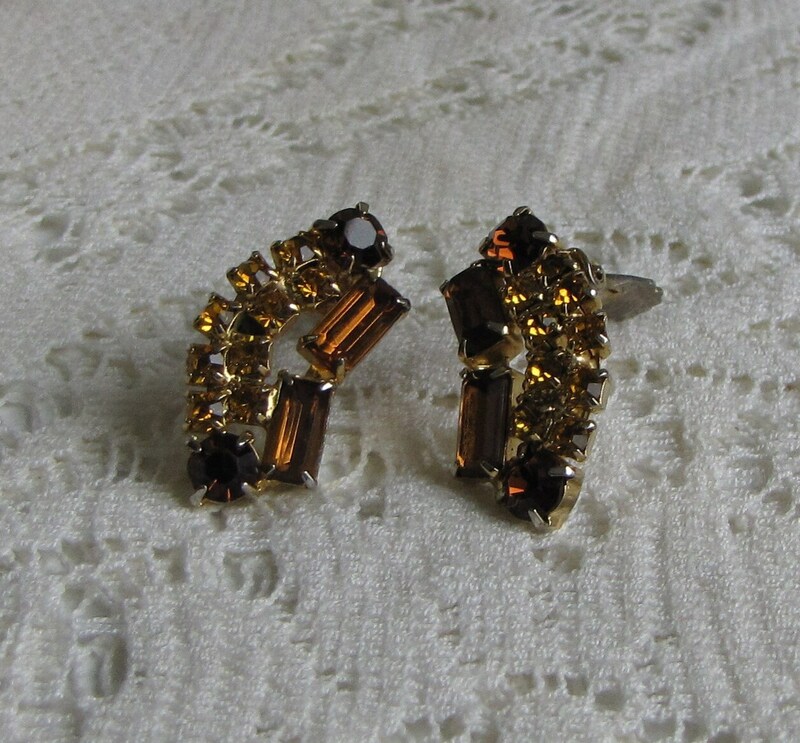 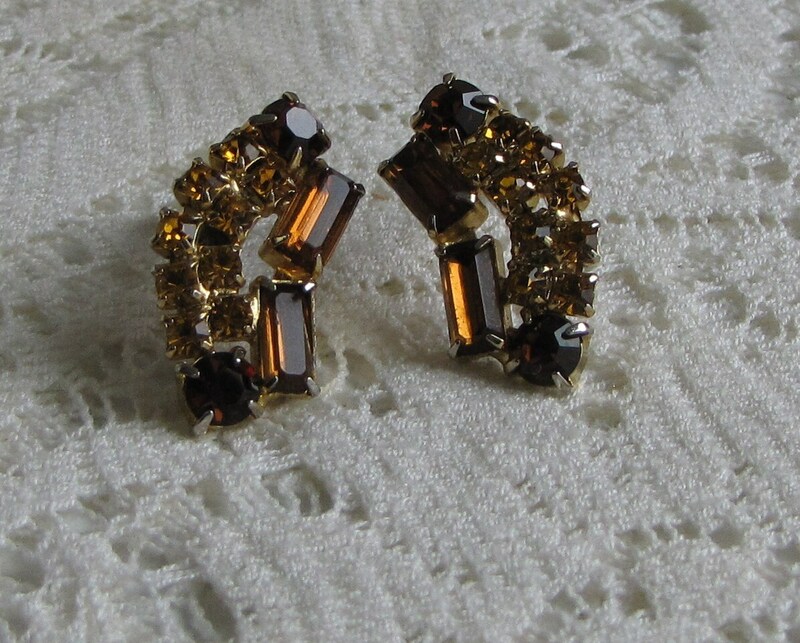 A beautiful set of brown baguette and round rhinestones with gold square rhinestones set in a gold toned base metal with clip ons. 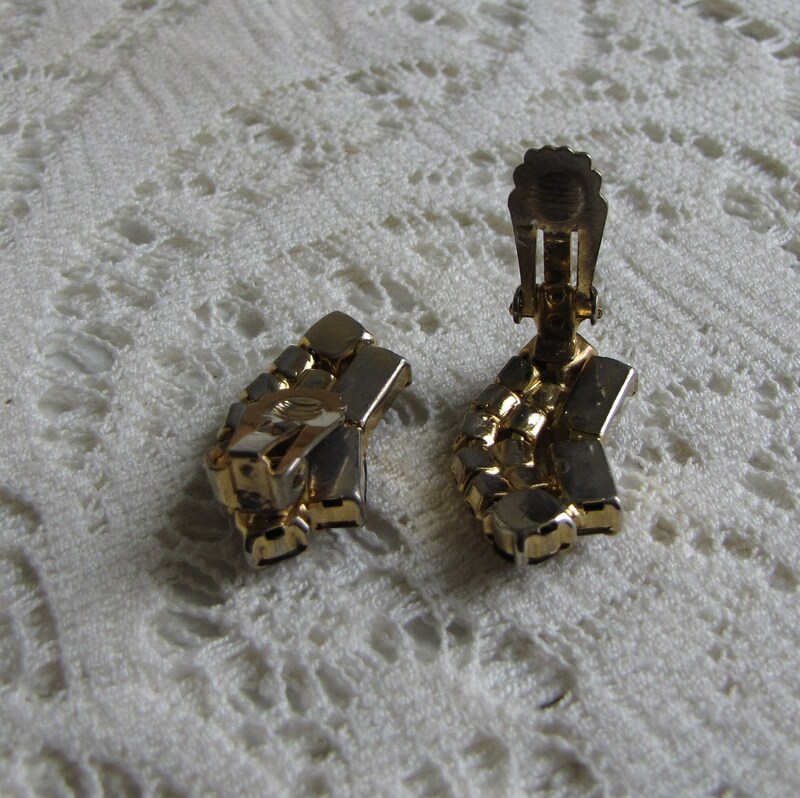 The set is in very good vintage condition; hardly a mark on them. 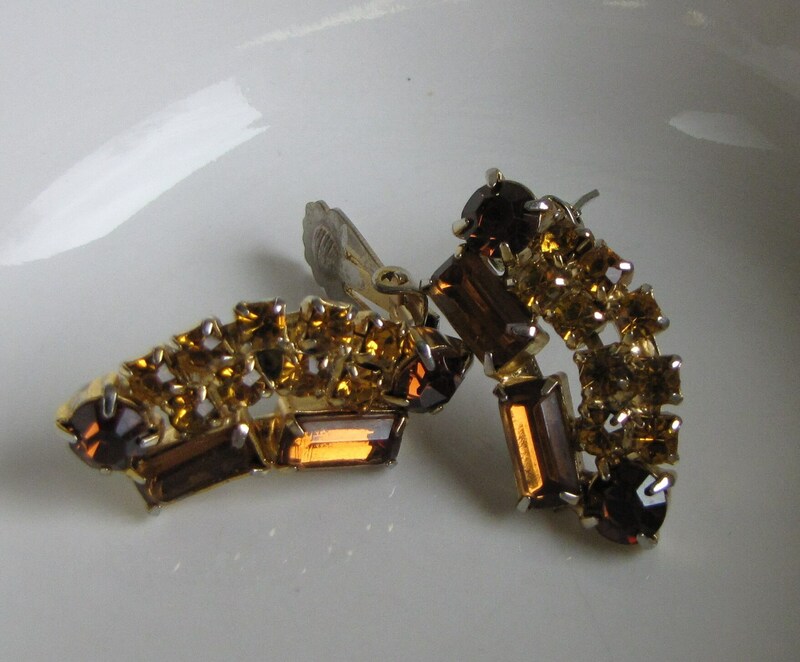 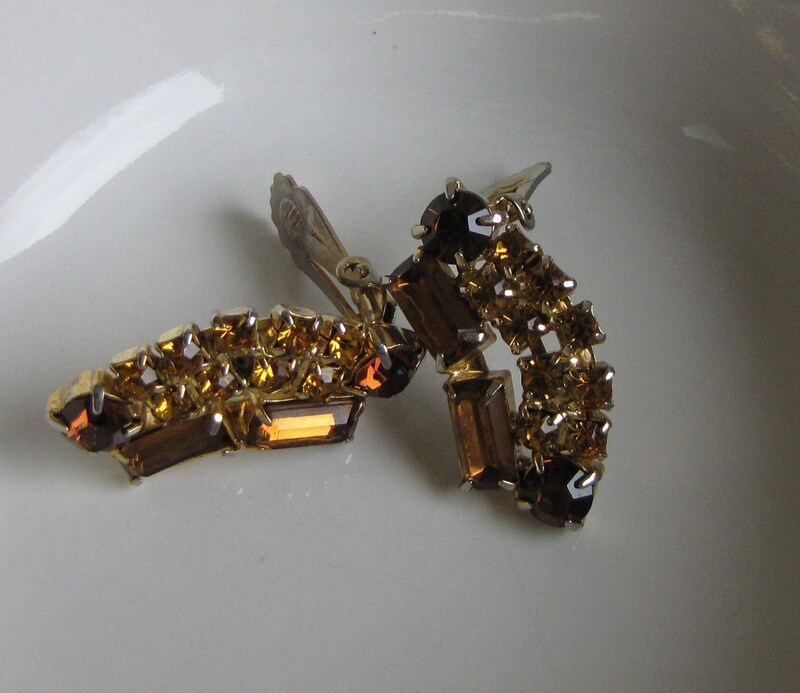 The clip-on earrings measure 1.25 inches tall and .75 of an inch wide.